No after installation service, even when faults occurred within 12 months. In response we advise as follows. This job is 18 months old and we heard nothing until 2-1-19. I emailed back on 2-1-19 and advised that contact would be made on Monday to discuss any problems. 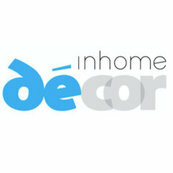 Inhome Decor advises that the shutters were delivered. Thank you Terry for your Houzz review. We enjoyed working a solution for you and we are thrilled to have another happy customer! Thank you Lynda for your excellent Houzz review it is much appreciated. We enjoyed working with you to achieve this most favorable outcome which we are sure you will enjoy for a long time! Thank you Greg for your Houzz review. We are thrilled to have another happy customer, and we are sure you will enjoy your shutters. We will send you a Gift Card in the mail. Thank you Eric for your Houzz review, and the pictures. We are thrilled too with the awesome outcome and they look great, Congratulations you have earned a Gift card! Thank you Louise for your excellent review on Houzz. We sure like having happy customers and it was a pleasure working with you on your project. We sure like having happy customers, and we enjoyed working with you to solve your problem and providing a suitable solution!